They are chic and exciting..... and yes difficult to wear, I know. They come in and out of the fashion scene. Different designers have featured them in their collections throughout the years. And the trend never really has stuck, but I have a feeling we will start seeing more of it. We tend to look to the past for inspiration in interior design, art, and fashion, striving to take something old and make it new and relevant again. I think the turban could make a revival? I loved when Mrs. Lilien did a lovely post about them some weeks ago. Honestly, I would wear one. and here is my version. I wish I had a better photo....cause it was really cute. 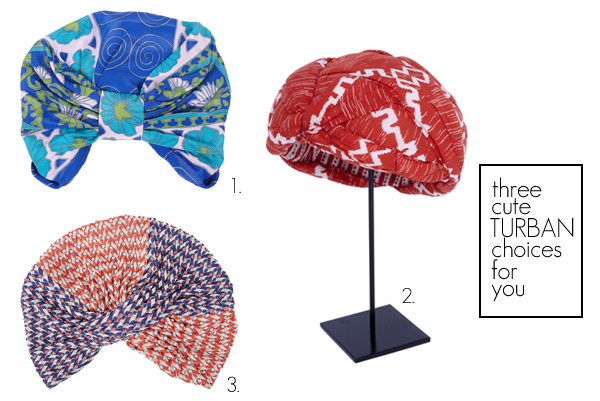 And if a turban is not in your future another toned down option is the headscarf.... Cool beans indeed. Be different, be cool. I'd put one on and my husband would surely look at me like I was a weirdo. Truth is, I've always wanted one... I have had visions of myself donning a colorful turban, laying around in a caftan by our pool. I've even thought of theming a pool day just so I could cruise around in one all day long so I would not feel awkward. Maybe 2013 is the year to take a few fashion risks, no matter what others might think, no? I, too, am obsessed with the turban trend. I remember that post from Mrs. Lilien, it made me love them even more. Remember SJP's turban in SATC 2?!? 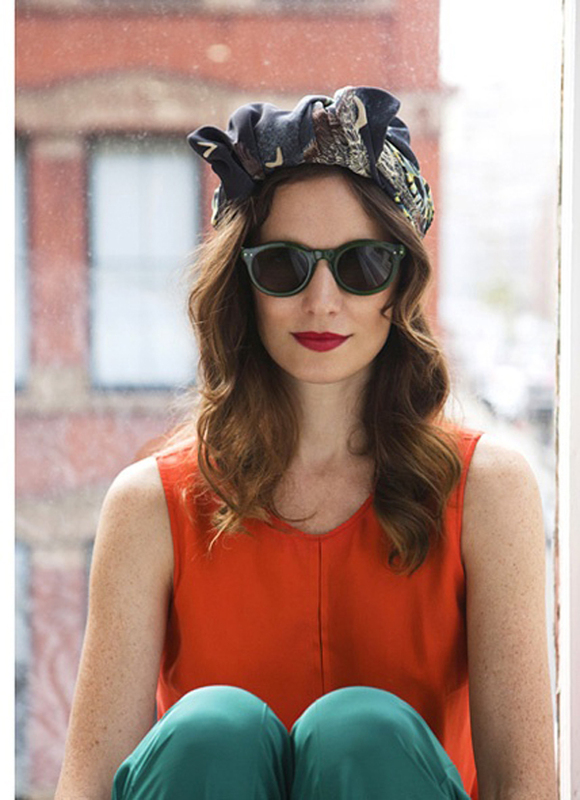 I need mine to look like the model in the second photo - so lovely with those sunnies! I adore this look! If only I had the courage to rock one! AHHHH Want one so bad! So sophisticated and fashion forward. Yours looks lovely! I've always loved the turban / head scarf look. In fact, it was one of my very first blog postsa ever! It's always trending in my mind! I wish I could wear that look, but it feels so out of place in Ohio. Good! I am so happy you are going for it! I don't care much for trends...I'm usually so behind on them anyway. Do what you want! These are so stylish but I'm not sure I would wear one - maybe on holiday. Yours is such a pretty design. Happy New Year to you! I'm not close to being chic enough to pull it off, but you could easily! Mi mama se casó d turbante. Dile q te cuente. 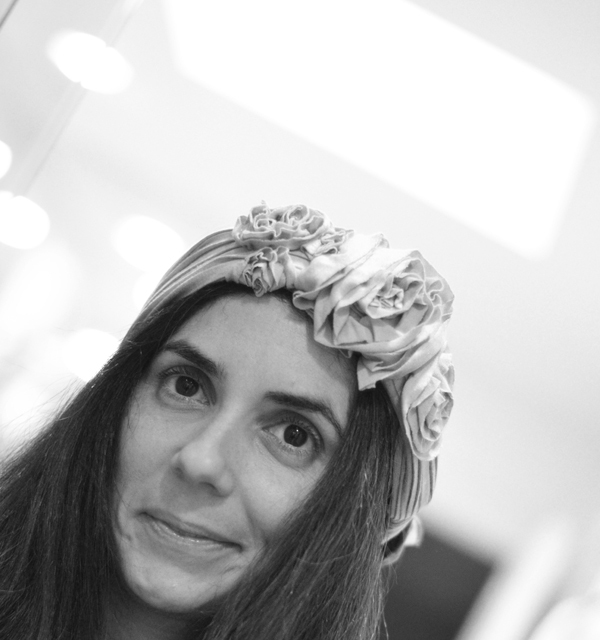 Yo prefiero los head scarfs. Me apasionan!! OMG I LOVE you in this turban. I really love this trend but I tried it once and felt silly. I want to look chic like you! I love the turban! Last year i bought a winter turban and love it! omg you are so cute in that. i really wanna wear one too!but id look like a goober, i can just tell. but when lia black wore one on RHoMiami I LOVED IT! I'll jump on board! I love them! I have a vintage velvet burgundy one that I got at a thrift store for a quarter! Have yet to have the cojones to wear it so we need to get this trend going!